The IADC Wells Technology 2019 Conference & Exhibition, which will be held on 1-2 October 2019 at the Pullman Hotel in Kuala Lumpur, Malaysia will be IADC’s first Wells Technology Conference event organized in the Asia Pacific region. With the expanding activities in the Asia Pacific region, IADC envisages the level of interests in this event to be strong. This conference is planned as a major technical conference on drilling wells technology and operations, focusing principally on the industry’s need to continuously identify and develop new technologies in addressing those evolving challenges with achieving cost and operational efficiencies, sustainability and meeting stakeholder expectations. 4 major cases during drilling operation will be presented and the impact of intervention sent in timely manner will be presented and the economical value of every intervention will be discussed. 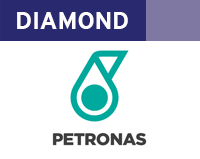 This paper presents PETRONAS agility in meeting business requirement by aligning with the fast development of technology. This paper portrays the comparison between previous and current approach, challenges faced with the new implementing solution of Wells Performance Tool and the worth of investment. As the digital revolution is taking center stage, we often hear on stories about how robots, artificial intelligence and Industry 4.0 are transforming our way of work. Other industries such as aviation, automotive and manufacturing have embrace this massive disruption by adopting automation technologies throughout the decades. They have shown that it has significantly improve their business process be it in terms of safety or productivity. What then, does this mean for the oil and gas industry? Safety remains as the crucial aspect for an operator to obtain its social license to drill. With operations often classified as high risk from HSE point of view, running a drilling operations require unique solutions in order to manage drill floor safety. As oil & gas only just emerging from arguably its three most challenging years in history, many players might maintain the need to remain practical and continue with business as usual to recover from the downturn. However, there are few of those who realize the need to reinvent and transform our drilling operations, especially in terms of HSE. The panel discussion will feature distinctive senior executive personnel from operator as well as drilling contractor on the theme of elevating drill floor safety to the next level with help of emerging technologies. The conventional surfactant and solvent aren’t compatible for all oil-based mud. An engineered spacer was deployed as a solution by combining the innovative surfactant and solvent. The objective was to find the effective cleaners and de-emulsifiers in a wide range of temperatures, base oils, and spacer salinity. A series of test including rotor test, spacer rheology and stability, and emulsion inversion were performed to select the suitable surfactant and solvent. This surfactant and solvent optimized the cleaning ability across the annulus of the casing and open hole. Engineered surfactant and solvent are required to ensure effective mud removal to maintain cement placement in the annulus. This paper will discuss the case histories from 3 wells in the Sumatra field, where engineered spacer has been applied and proven successful. The presentation provides an overview of an active wellbore sealing system and its associated testing program. Key features are highlighted which distinguish the active wellbore sealing technology from older passive technologies. Results from the testing program will be shared demonstrating the seal under drilling conditions. The presentation highlights design features of the active wellbore sealing system which enable seal condition monitoring and seal life optimization. Results from full scale testing are shared, demonstrating how the system operates. 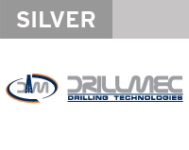 The presentation will demonstrate how the advanced functionality of the active wellbore sealing system reduces risk and streamlines deepwater CLD operations. The application of automatic managed pressure drilling system to resolve the severe issues faced in an HPHT well will be discussed. The first well in this field is plagued with a lot of drilling issues that resulted in a lot of NPT and caused the operator almost 28 extra days. With the application of MPD excellent results were achieved. The detail planning, execution and deliverables are shown in this presentation. Case Histories are presented of the development and optimisation of a continuous circulation system for 10 years from concept to sustainable technique; The advantages of being able to use technology over a long period of time have been to improve its efficiency in implementation, reduce wear and tear to drilling equipment in a remote location and demonstrate how the support, the development and the improvement of a new technology can be managed. The presentation will also outline lessons learned which are not only applicable to Air/Foam surface section but can be applied in several other drilling environments which are key to solving different problems for other operators without the pain of initial development of the techniques. 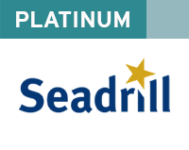 08.35 Keynote Presentation: Seadrill, Representative t.b.n. The M.O.S.T. (mechanical outside-latch single-trip) Plus subsea wellhead retrieval system are highlighted. The M.O.S.T. Plus tool is based on a field-proven system and incorporates new technologies and components. The combination increases stabilization and cutting efficiency while reducing operational rig time. The newly deployed system successfully recovered ten subsea wellheads in Norway and demonstrated its operational effectiveness with reduced cutting times. The new upgrades to the M.O.S.T. Plus tool and a case study will be discussed in the presentation. Case study of the temporary plug and abandonment of fifteen (15) deepwater subsea wells offshore Mauritania using a drillship. This presentation will include field description, rig selection, rig modifications, selection of a completion/workover riser system and its challenges, and review lessons captured and performance analysis along the project. Shell Malaysia embarked on its section milling operation as contingency to unsuccessful alternative technology to abandon wells with sustained casing pressure in 2018/2019. Key challenges were identified during planning and execution: complexity of operations due to well inclination, hole cleaning efficiency, dual casing section milling for one well, cementing operation, length of section milled and section milling perforated casing. Different annuli pressure trends were observed post section milling and the success of the operation will be concluded after long term annuli pressure monitoring. This will provide valuable data for future well abandonment with sustained annulus pressure. Wells drilled off the Kenai Peninsula using traditional drilling methods have encountered problems with mud losses, borehole instability, and impaired production. The utilization of MPD technology has allowed operators to use a lighter, low solids drilling fluid to drill a multilateral fishbone well with complex geometry. By controlling the pressure profile in the wellbore hole stability was increased while minimizing fluid losses and mitigating formation damage. Constant bottomhole pressure techniques allowed the open hole laterals to be displaced over to non-damaging mineral oil for barefoot completions. The results lead to a reduction in total drilling days and greatly improved production endorsing the application of MPD technology on complex fishbone wells in the future. Throughout the downturn, the oil and gas industry have had to reevaluate their standard business model to create value and to drive efficiencies. Companies have implemented new strategies to harness data and shift organizational behavior to enhance performance. This transformation, including streamlining supply chain decisions, implementing artificial intelligence and digitalizing their operations have led to reduced costs and significant productivity gains. The industry must continue to adapt to new technology and allow for the changes to improve traditional business decision making. The strategies showcased herein this panel are some of the many ongoing initiatives to capitalize on intelligence driven opportunities which transform our business to operate more safely, efficiently and productively. Mechaki field is in Upper Assam, India and represents one of the deepest and significant reservoirs at depth of more than 5500m. The Eocene reservoir is overlain by high pressure shales in same open hole section. Known challenges are high risk of wellbore instability after severe hole problems which ultimately cause NPT and Lost-in-hole incidents. This paper showcases how integration of acoustics and geochemical data for geomechanics provided a new insight and reduced the drilling and logging time by predicting optimal mud weights with casing plan. The ebos tool is used to separate vertical drill-pipe sections during times when the pipe is stuck, by dropping a ball or dart downhole and differential mud flow pressure. However, break-through technology has been developed which allows the transmission of coded signals down the drill-pipe during drilling, to activate any number of electronic ibos separation tools at any position or deviation of the drill string. The codes (like FM radio station signals), activate a smart receiver in the ibos tool, which has recognised its own coded signal, and activates the separation tool. Continuous circulation as an MPD technique provides a downhole steady-state condition and, as a result, the formations do not suffer from pressure oscillations while hole-cleaning and borehole stability improve, reducing the chance of problems while the hole is open. The case study showcases a deep water well in the Black Sea with a high level of uncertainty due to lack of calibration wells and seismic velocity anomalies due to gas effect. The system utilized brought to 58 operational days with 100% success rate, zero accidents and zero LTI. Cost for the 3 x 2 meter Stand + 1 complimentary registration is US $ 2.000. The space will be set with a skirted table, two chairs and access to electricity. With the stand, you receive 1 complimentary conference registration and up to 2 additional registrations at half price (US $ 425). Exhibitors can set-up between 6.00-7.30 hours on Tuesday, 1 October 2019. You may tear down your booth space on Wednesday, 2 October 2019 after 17.30 hours. The exhibitor space is a 3 x 2 meter area. Maximum height is 2 meters. It will be set with a skirted table and two chairs with access to electricity and 1 fascia with company name. Please do not exceed the given space as the exhibition area will be limited. Exhibitions at IADC events will be limited to showcasing products and services that advance technology, competency or HSE. Exhibitions centered on recruitment or employment should not take space at IADC events. IADC Exhibitions will solely be visited by conference attendees. Non-conference attendees are not allowed to enter the exhibition area.